Since 1995 Angelo Seminara became Trevor Sorbie’s protégé and International Creative Director. Angelo Seminara has captivated clients and inspired the work of hair professionals around the world with his creative drive and passion. In 2010 Angelo went freelance and has been working all over the world on shows and seminars. 15th January 2011 Angelo started as the new Art Director for Davines Spa. He has also developed an incredible reputation on the catwalk circuit and his celebrity client list is impressive, but it hasn’t gone to his head, he maintains his gentle nature and carries with him an aura of calm. 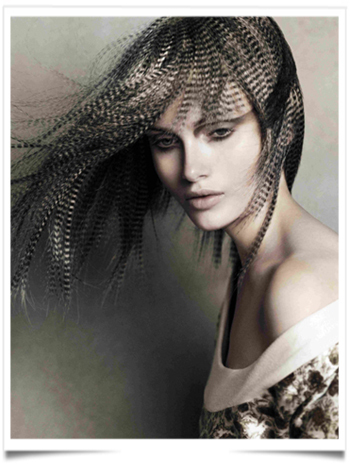 Angelo has always been absorbed with his work, and delights in creating new shapes and textures, constantly pushing the boundaries – seeing hair as a fabric. Today he remains captivated by the possibilities of hair, and is adept at bringing out every client’s natural beauty. This entry was posted in BREAKING MODE, BREAKING NEWS and tagged fbcci, FRANCOBRITISHNEWS, modeaparis, MODEPARIS by admin. Bookmark the permalink.